Welcome, we are here to listen to you and help. We all want to balance work & lifestyle. We are all sick of just working for money; we want money to work for us. But how do we do it? Where do we start? Let us get together and start working for you. CleverCall has 14 years of practical, hands on expertise organising loans and finance. We are fully licensed Finance Professionals / Credit Advisers (ACL - Australian Credit License #385352). We are qualified Financial Planners (Authorised representative of AFSL Holder). 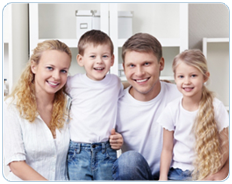 We are a member of PLAN Australia, a widely respected Mortgage Aggregator Group in Australia. We are a member of MFAA (Mortgage and Finance Association of Australia). We are a member of external dispute resolution body, COSL (Consumer Ombudsman Services Limited).